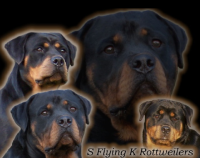 We have selectively chosen our dogs to fit into our family and we breed with that goal in mind; to produce powerful, gentle, intelligent and beautiful Rottweiler’s capable of being the perfect family member. 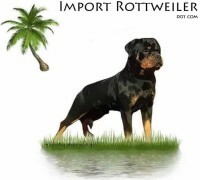 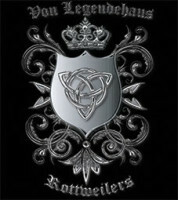 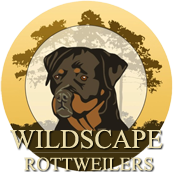 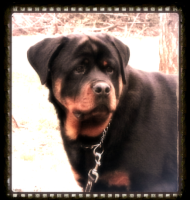 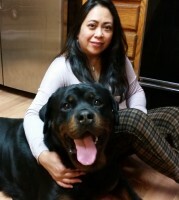 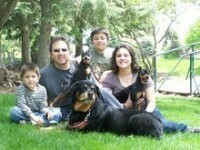 We breed for the total Rott, a dog that embodies breed type, working ability, and sound temperament. 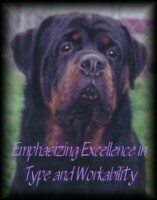 We obtained passing health clearances prior to being breed. 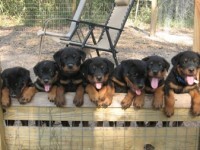 Our puppies are home-raised and well socialized. 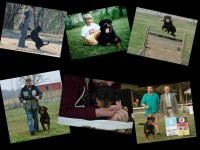 Whether your new puppy is destined to be family pet, show dog or a working dog, it will be part of your life for a long time.